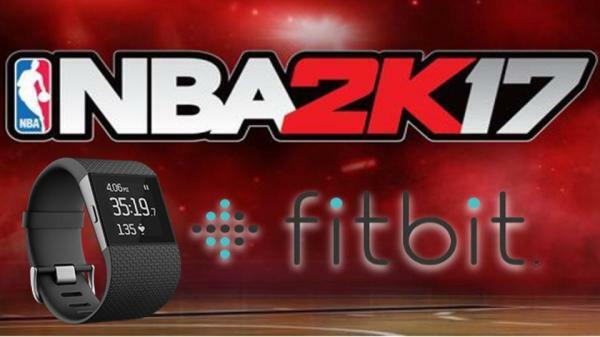 NBA 2K17 announced that there are an exciting integration with makers of the Fitbit wearable activity tracker allows players to redeem their tracked steps in-game, and regular workouts will produce a powered-up team that’s ready for the NBA Finals. The all-new NBA 2K17 feature is aimed at players who take 10,000 Fitbit-tracked steps on a daily basis. Players who meet the requirement can redeem their steps for a temporary MyPlayer avatar skill boost, earning them bonuses in agility, layups, dunks, and other stats. Once users connect their Fitbit tracker with NBA 2K17 on Xbox One and PlayStation 4, their real-world step activity can start working toward the 10,000 steps per day goal for receiving in-game boosts. After users reach the steps milestone, the game will prompt them to apply temporary +5 attribute boosts and success rate to their MyPLAYER in categories like agility, layups and dunks, and more that will significantly improve performance for the next five games played that day. Dallas Maverick and Fitbit ambassador Harrison Barnes said that the integration gives him an “extra incentive” to meet his target steps due to the additional gaming edge he gets as a result. It’s worth noting, however, that Barnes belongs to the camp of individuals who will probably meet their target with or without game integration. Although the announcement sets an interesting precedent to gamify exercise and merge physical activities with the gaming world, the NBA 2K17 / Fitbit partnership may not provide enough rewards for devoted NBA 2K17 players to start tracking their steps, unless it’s something they are already doing. Billed as “a first-of-its-kind integration,” the integration will be enabled for all users globally starting November 25 just in time for the holiday shopping season. It’s a new incentive for NBA 2K17 fans to exercise on a regular basis.